Quick Overview: Designed to provide excellent sealing and durability. Fabricated from high quality material. Heat resistant as well as reusable. Features a precision die cut. Backed by a limited warranty. 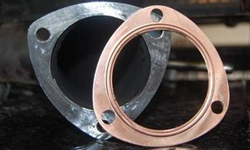 We manufactured the exhaust copper gaskets from thick, pliable copper with a raised compression ring to maintain improved sealing. This is your answer to leaking exhaust flange on just about any set of stock or custom cylinder heads. Copper exhaust gaskets are must when running fuel injection or a turbo. 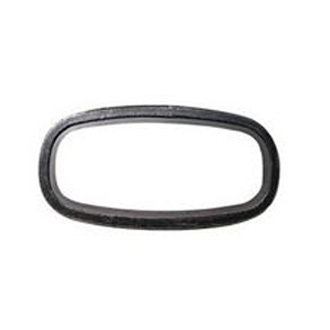 All copper exhaust gaskets have a crush-ring to help ensure a tight fit. * Copper is relatively soft, the steel knife edges of the flanges bite down on the copper as the flanges are tightened toward each other.